Hiroshi Ikeda Sensei is the founder and Chief Instructor of Boulder Aikikai, a non-profit school of aikido in Boulder, Colorado, USA. He currently holds the rank of nanadan (7th Dan) through Mitsugi Saotome Shihan and the Aikido World Headquarters (Hombu Dojo), Tokyo, Japan. Ikeda Sensei began his study of Aikido in 1968, as a college student at Kokugakuin University in Tokyo. In 1978, he followed Saotome Shihan to Sarasota, Florida. In 1980, he moved to Boulder to establish Boulder Aikikai. In January 2015, Saotome Shihan decided to recognise Ikeda Sensei as an independent instructor so that he can pursue his own objectives. Ikeda Sensei travels extensively as a guest instructor, where he has conducted hundreds of aikido seminars around the world. In 2005, Ikeda Sensei established aikido ‘Bridge’ seminars. 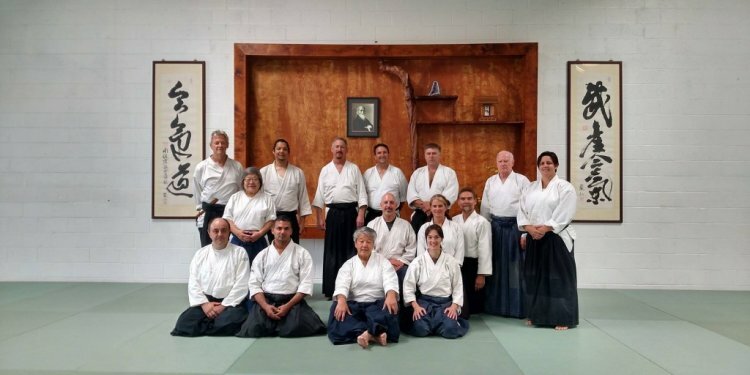 The purpose of the ‘Bridge’ events is to bring together teachers and students from different countries, aikido organisations and backgrounds to share their skills, build friendships, and support the future growth of aikido. By combining the knowledge of many instructors the full legacy of aikido can be kept alive for the next generations of students and instructors.